Please feel free to contact our sales department for pricing and samples. Whether combined with an Indiana limestone veneer or used in conjunction with brick, fieldstone, stucco, etc., utilizing Indiana limestone window trim is an excellent choice providing lasting durability that never goes out of style. 3D Stone has countless profiles available and will work closely with you to select a design that meets aesthetic and budgetary needs. From custom floor-to-ceiling designs to simple hearth and mantle stones, 3D Stone has provided countless Indiana limestone fireplaces across the U.S. and Canada. Limestone fireplaces and fire pits also continue to be extremely popular in outdoor hardscape applications. 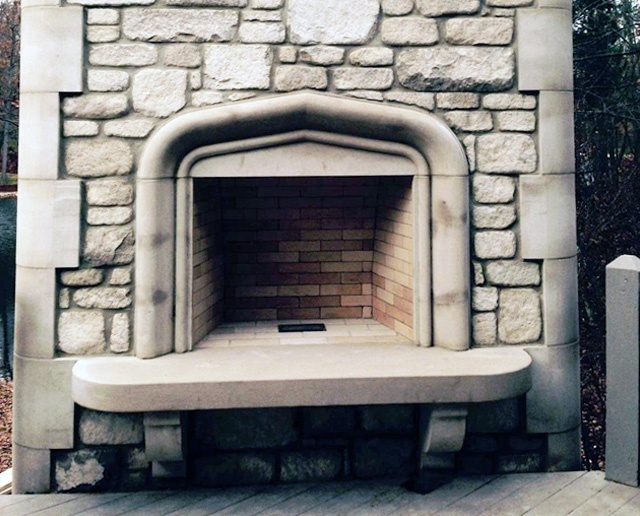 Whatever your fireplace needs are, 3D Stone, Inc. has the skilled tradesmen capable of producing a piece you can be proud of for years to come. Balusters have long been used to provide beauty and depth on patios, walkways, landscaping, and even accent features on building elevations. Whether turned on a lathe or square in design, we have several different size and profile options available to fit your project needs. Indiana limestone continues to be a popular choice in pool/landscape settings. 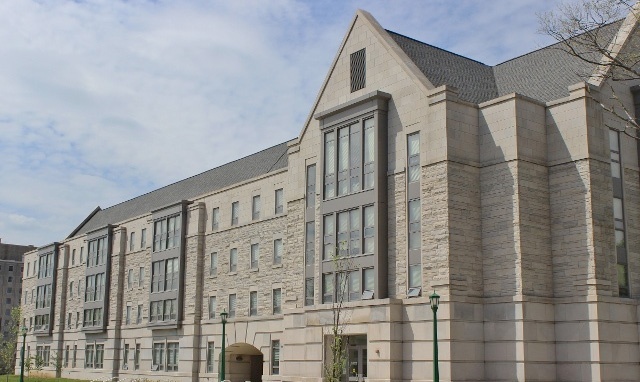 When properly installed and maintained, Indiana limestone provides unmatched beauty and excellent durability. There are several manufactured products available for use as pier caps and coping, but few provide the beauty and durability provided by Indiana limestone. Whether it be a simple square coping or an ornate, profiled pier cap, 3D Stone, Inc. can fabricate a timeless product to fit your project’s needs. Utilizing both new technology and old world techniques, 3D Stone, Inc. has produced countless carved limestone pieces used in a variety of applications. Our carved pieces are featured in homes and buildings across the U.S. and Canada and have received rave reviews from owners. Indiana Limestone is the perfect material for outdoor furniture that will both stand up to the test of time and will almost never blow away. The material is neutral to match chairs and fabrics, and the elegant appearance will never go out of style. 3D has created standard tables to be budget friendly for patios and decks. 3D can also create a custom work of art that will not only make a statement; it will also serve a function purpose. Limestone material is very sustainable and friendly to the environment, at the same time more durable than man-made materials. It is often used in concert with other less expensive alternative to marrying a design that provides high-end elegance with affordable budgets.